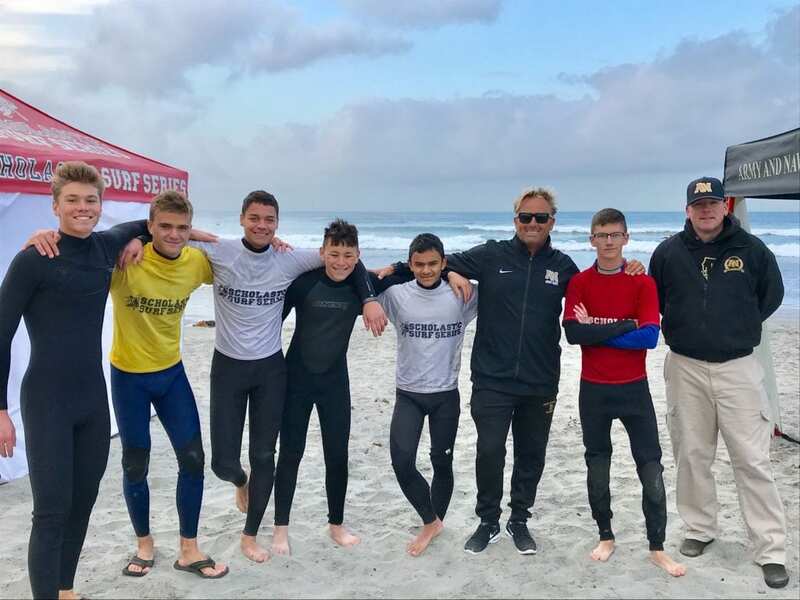 On Saturday, December 16, 2017, our ANA surf team competed at the Scholastic Surf Series Division 5. 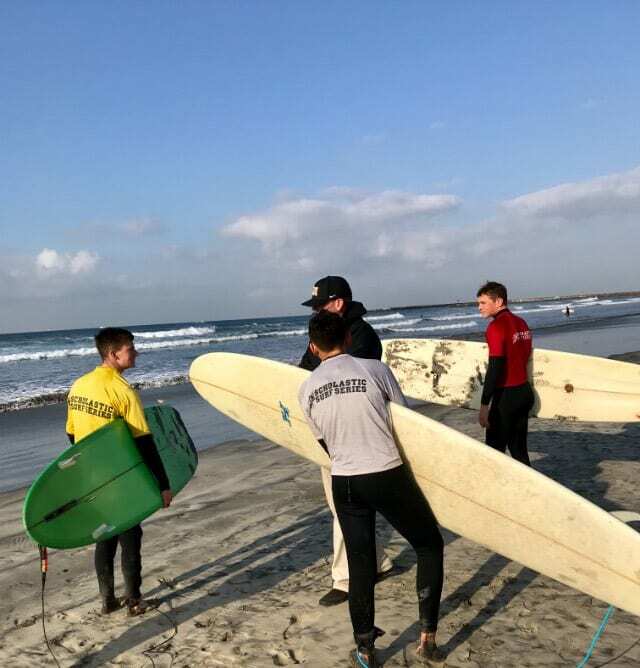 This was the first ever competition for these Cadets’ and the first ANA competition for our new surf coach, Sean Mattison. 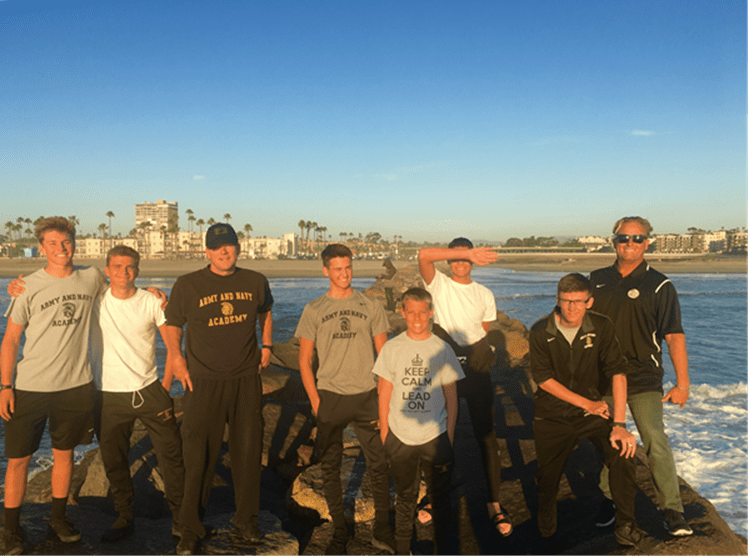 They all had a great time and won 2 categories, Men’s Short Board and Men’s Longboard against Granite Hills! 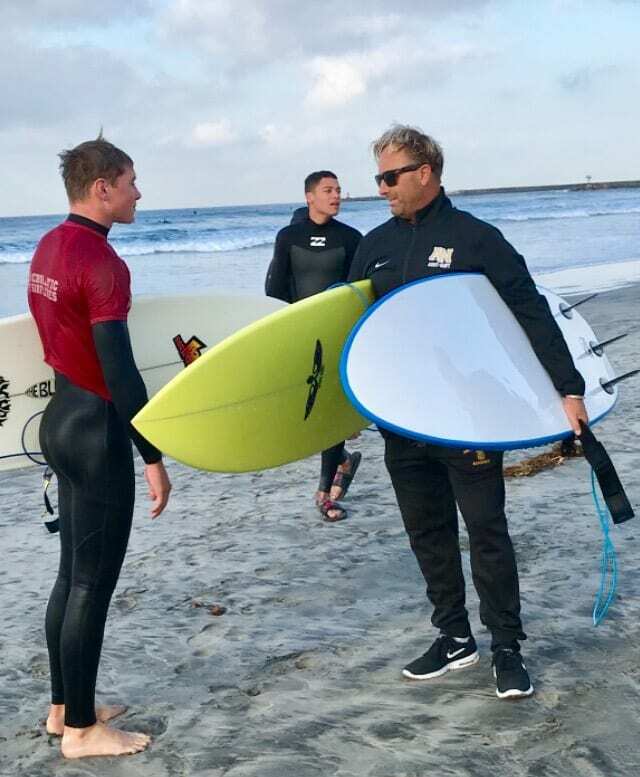 There were standout performances from Troy Jones, making it to the overall (all high schools) men’s short board quarterfinals and Charles Cole, making the semifinals in the overall (all high schools) men’s Longboard. Special thanks to Coach Mattison and assistant Coach Jason MacDonnell for their great job with the guys! 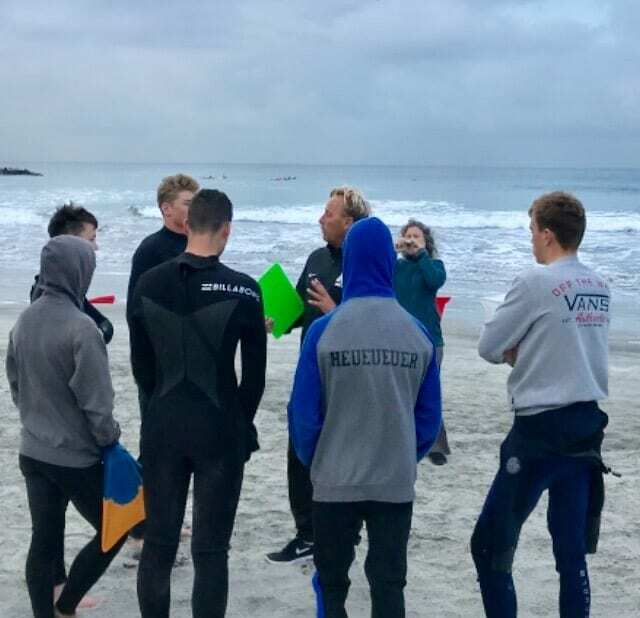 What an awesome start for our surf team!